Despite the criticisms regularly leveled at it, Mexico’s oil giant Pemex is actually one of the most competitive oil firms in the world. First, its costs of exploration and production are much lower than those of most other major oil companies. Pemex’s production costs in 2012 averaged 6.84 dollars/barrel (d/b) of oil equivalent, well below the costs incurred by international rivals Exxon (9.91 d/b), Chevron (15.16), Total (8.17), Shell (12.47) and British Petroleum (12.50). Pemex’s exploration and development costs are also among the world’s lowest. They fell from 16.13 d/b in 2011 to 13.77 d/b in 2012, mainly due to the discovery of several new reserves. Among major players, only Shell had lower costs (11.75 d/b), with Pemex well ahead of British Petroleum (17.37 d/b), Exxon (19.31), Total (22.68) and Chevron (28.81). How important is Pemex to the Mexican economy? One third of Mexico’s national budget comes from the petro industry, which accounted for 7.6% of GDP in 2012. In 2012, Pemex invested 23.9 billion dollars in Mexico, appreciably more than the 19.2 billion dollars invested that year by América Móvil, Femsa, Walmart, Frisco, Cemex, Liverpool, Alfa and Mexichem, combined. 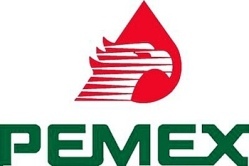 In terms of revenues, Pemex had revenues in 2012 of 142.4 billion dollars, greater than the 139.1 billion dollars in revenues of América Móvil, WalMart, Femsa, Alfa and Cemex combined. According to a Bloomberg analysis, between 1973 and 2012, Pemex generated a cash flow (before tax and depreciation) that was 63% higher than the total cash flow of all the firms listed on the Mexican Stock Market. In 2012, the Ebitda (Earnings before Interest, Tax, Depreciation and Amortization) of Pemex was 88.2 billion dolalrs, compared to the combined 54.2 billion dolalrs of Ebitda for América Móvil, Banorte, Femsa, Walmart de México, Grupo Modelo, Cemex, Kof, Televisa, Peñoles and Alfa. How important is Pemex in the worldwide picture? According to Petroleum Intelligence Weekly, U.S. Energy Information Administration and U.S. Crude Oil Imports by Country, Pemex is one of the world’s five most important crude oil producers, after Aramco (Sauid Arabia), NIOC (Iran), CNPC (China) and KPC (Kuwait). 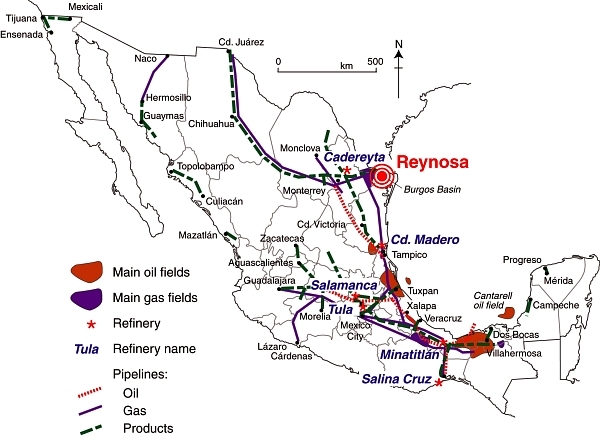 Pemex is the third largest oil exporter to the USA, after Canada and Saudi Arabia, but ahead of Venezuela and Nigeria. Mexico has the world’s 13th largest crude oil reserves and Pemex has the world’s 15th highest oil company revenues. Mexico’s proposed energy reforms, which will allow private sector firms more access to some parts of the oil and gas sector, will only serve to boost the competitiveness of Mexico’s oil industry. The major problems facing Pemex are not directly related to revenues or to competitiveness, but are the persistence of corruption and a lack of transparency.